Annai, Region No. 9. Photo by Girendra Persaud. 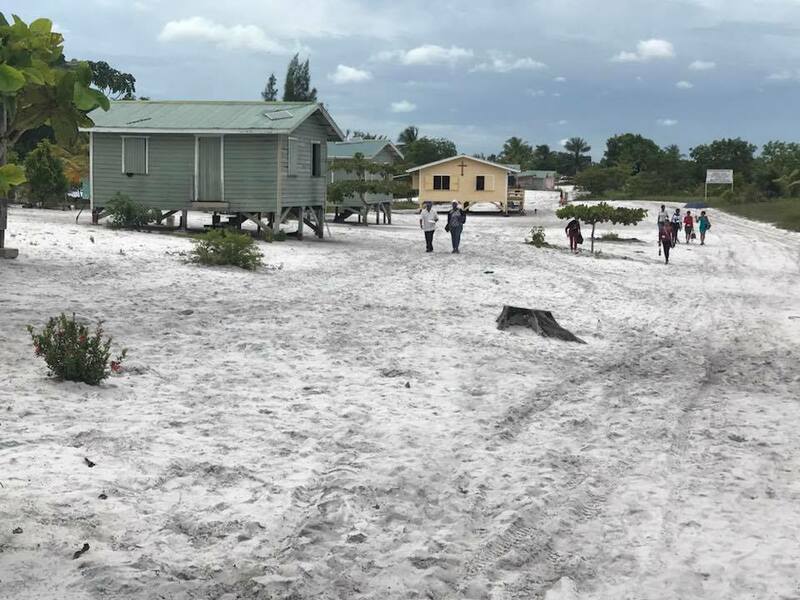 The Guyana Foundation is a charitable trust that has been created to contribute meaningfully to the rebuilding of Guyana. Driven by the conviction that great change can be made by people who are encouraged and supported, the Foundation has conducted large and small-scale projects across the country in an effort to restore hope and purpose, rebuild lives, and create a better future for all Guyanese. Tapakuma Village (St. Deny’s Mission) in Region No. 2. Ms. Sharon Slate delivering her presentation to the gathering at Tapakuma Village in Region No. 2 on Tuesday 15th January 2019. GF Trustee, Mrs. Che Jian Ping and Sunrise Center Manager, Ms. Meena. The village of Mashabo, Pomeroon-Supenaam Region No. 2. The Itiribisi Lake known as the “Hot and Cold” Lake at Mashabo. Heading to Arthurville Primary School, Wakenaam for our meeting, June 2018. Supriya speaking to residents at the Wakenaam meeting, June 2018. 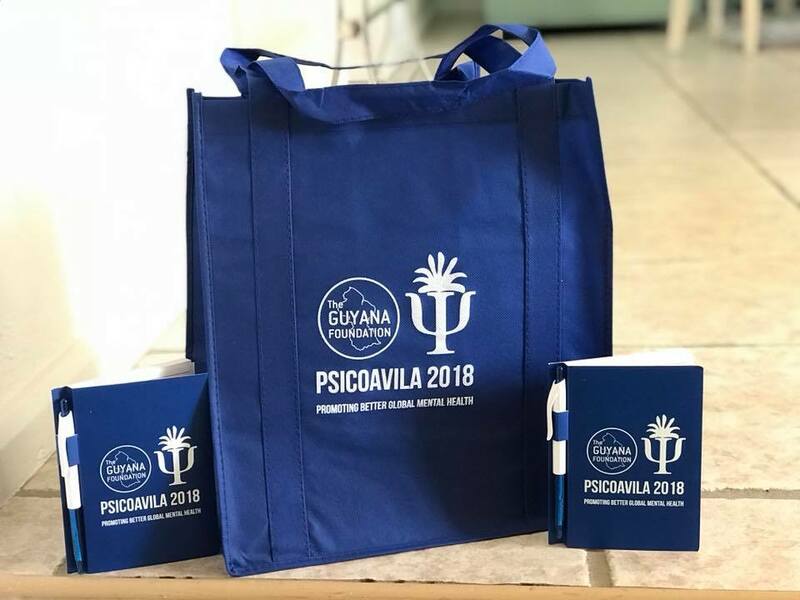 A Wakenaam resident reading some of the brochures of the Guyana Foundation, June 2018. Press Conference/Luncheon: Interacting with the Canadian High Commissioner to Guyana, Her Excellency, Ms. Lilian Chatterjee. Press Conference/Luncheon: Interacting with the audience/invitees. n Ambassador to Guyana, His Excellency, Mr.
Press Conference/Luncheon: A section of the invitees to the event. Press Conference/Luncheon: Ms. Singh-Bodden introducing Whanita Phillips of Santa Rosa, Moruca to the Sunrise Center Team. Press Conference/Luncheon: Founder of the Guyana Foundation, Supriya Singh-Bodden welcoming invitees to the event. Press Conference/Luncheon: Founder of the Guyana Foundation, Supriya Singh-Bodden delivering her remarks. Press Conference/Luncheon: With Canadian High Commissioner, Ms. Lilian Chatterjee, Scotiabank Marketing Manager, Ms. Jennifer Cipriani and British High Commissioner, Mr. Gregory Quinn. Press Conference/Luncheon: Interacting with the British High Commissioner to Guyana, His Excellency, Mr. James Gregory Quinn. Press Conference/Luncheon: The Guyana Foundation Team having lunch with Special Invitees and members of the Diplomatic Corps. 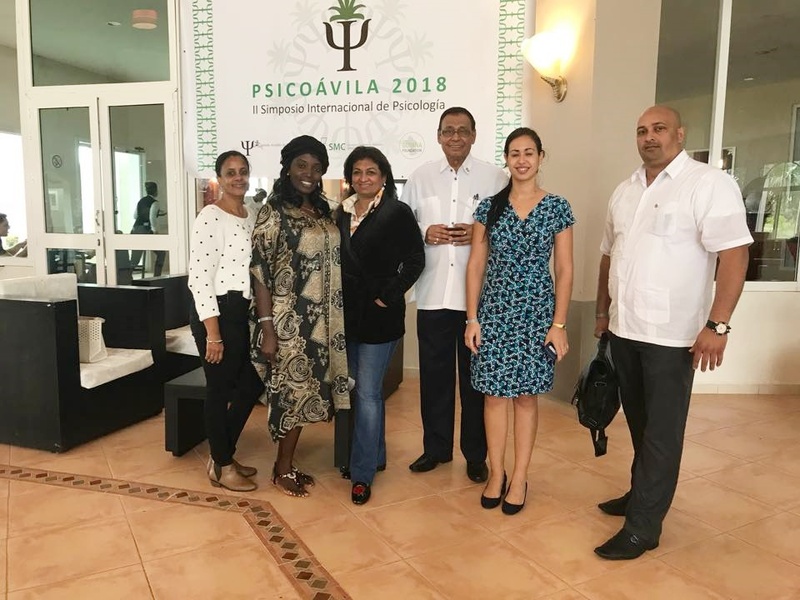 Guyana Foundation team arrived in Havana, Cuba for the start of Psicoavila 2018 Mental Health Conference. A section of the craft store in Cayman. She is excited with these paintings from the craft store. Mrs. Singh-Bodden shows off this slippers. Some of the products on display at the craft store.... tie dye. Some of the products on display at the craft store. GF and Cuba Teams planning the Mental Health Conference for January 2018. Some of the Craft from Guyana at our Hand Made With Love Store in the Grand Cayman (November 2017). Guyana Foundation Retreat in the Grand Cayman, November 2017. Pictured are Mr. Robert Bodden; Madonna Paul of GF Sunrise Center; Senior Statesman and former Premier of the Cayman Islands , Hon Mr Kurt Tibbetts OBE; Managing Director of the Sunrise Center, Miriam Roberts-Hinds; and Founder of GF, Mrs. Supriya Singh-Bodden. Signing of the MOU between the Rector of the University, Angel Batista Diaz and Supriya Singh Bodden of the Guyana Foundation. The Sunrise Girls of the Guyana Foundation. Volunteers helping to sort out clothing and other items from the barrels donated by Ms, Francis Yvonne Jackson. Volunteers helping to sort out the barrels donated by Ms, Fransic Yvonne Jackson. Ms. Francis Yvonne Jackson with managing Director of the Guyana Foundation, Susan Isaacs. She donated ten barrels and travelled all the way from Chicago in the USA to assist in distributing the items, September 2017. Ms. Francis Yvonne Jackson and Monique whom the Guyana Foundations along with Food for the Poor assisted tremendously in the buildng of her new home. With some of the most talented craft producers in Guyana. 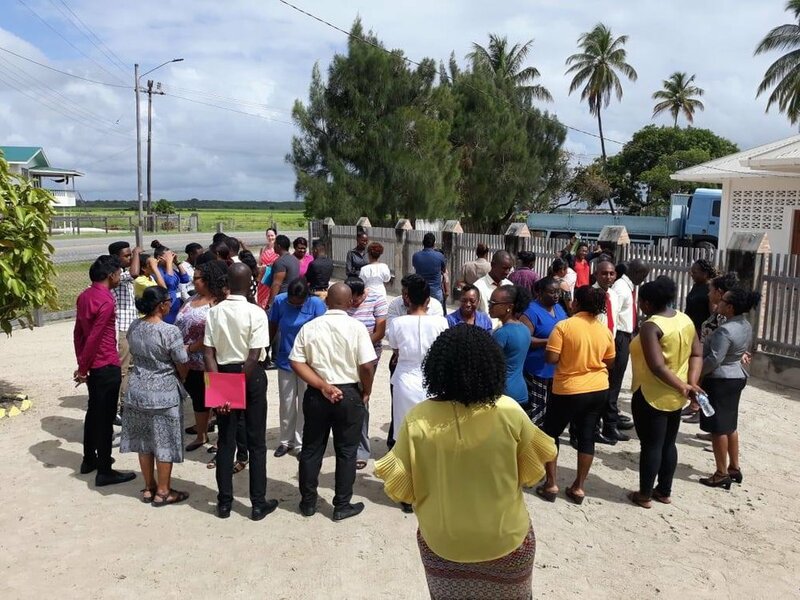 The Guyana Foundation Sunrise Center collaborated with the Ministry of Education, Culture, Youth and Sport with a workshop to continue the fight against suicide in Region Two at its Center on Tuesday 5th September 2017. The Sunrise Center staff, on Tuesday 26th September 2017, joined with persons from the Childcare and Protection Agency to paint the walls in this building in an effort to protect children from sexual abuse. 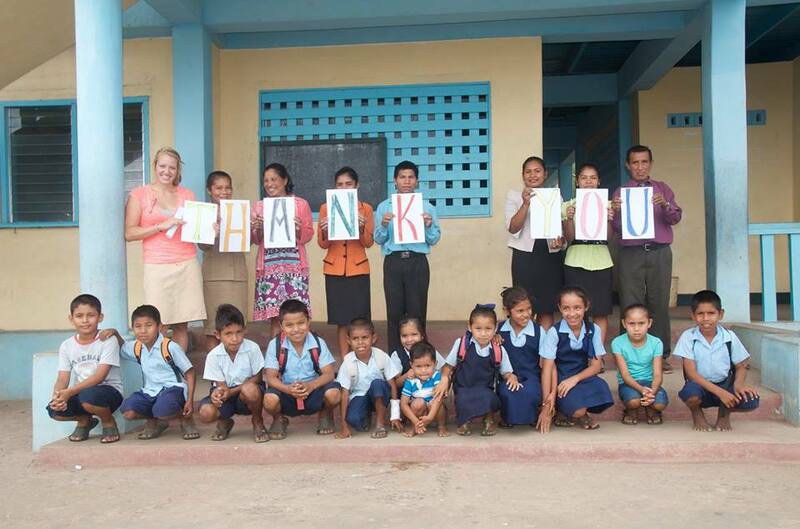 Painting the walls in this school in an effort to protect children from sexual abuse. A school child doing a hand print on the wall of this school building as part of his message in the the effort to protect children from sexual abuse. 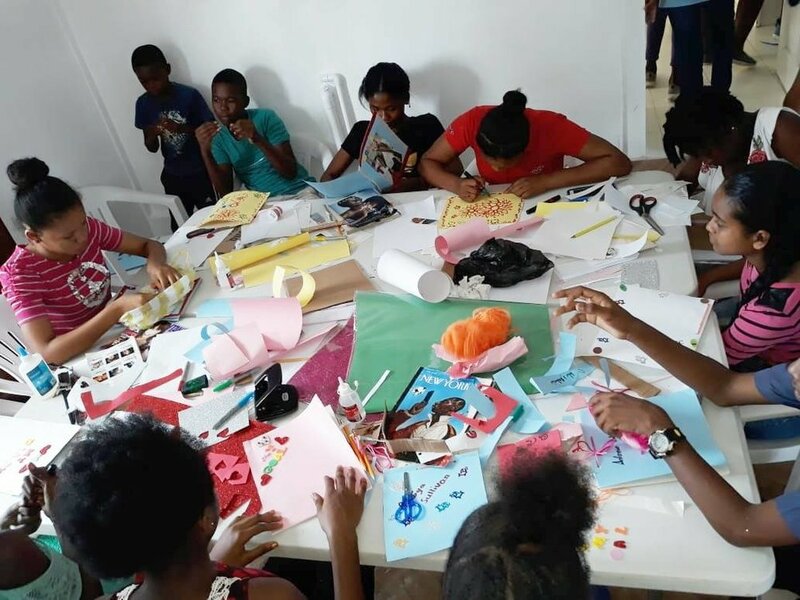 The William James team along with Managing Director of the Sunrise Center, Miriam Hinds-Roberts conducting workshops in Essequibo at our Center, July 2017. Managing Director Susan Isaacs handing over items from our clothing drive to APA representative, Laura George, 31st May 2017. Managing Director of the Guyana Foundation, Susan Isaacs handed over a donation of clothing to the Executive Director of the APA, Jean La Rose on Friday 19th May 2017. The APA is collecting much needed items to send into the villages in Region 8 that have been devastated by the recent floods. Donation of Barrel with children clothing, shoes and baby bottles, among other items to GF by the Guyanese American Law Enforcement Association (GALEA), an organisation of overseas-based Guyanese in the USA, April 2017. Our new batch of students at the Sunrise Center working through our Orientation and Goal programs, May 2017. 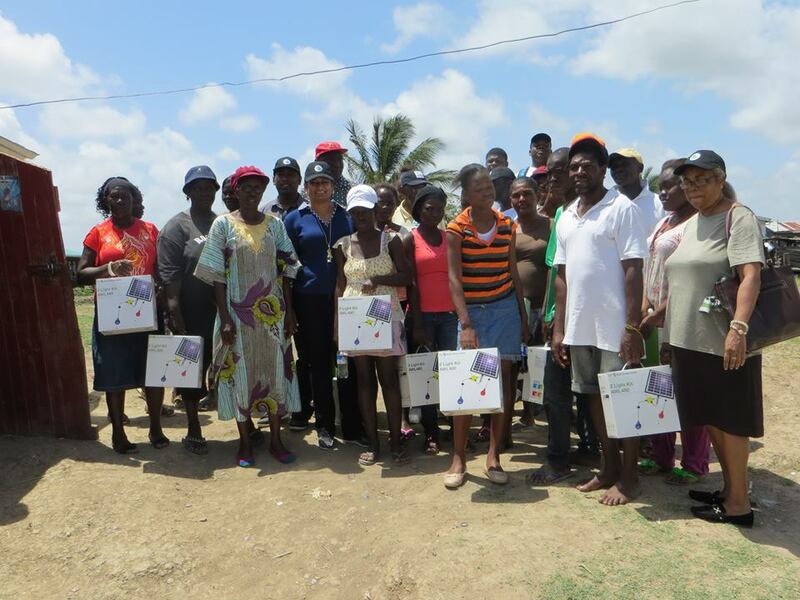 Recipients of solar light kits with a team from the Guyana Foundation in Breezy Point. Refreshments being shared to children at a recent Guyana Foundation activity in Soesdyke, East Bank Demerara. GF volunteers setting up tables of donations to be handed-over to mothers in the Soesdyke area. 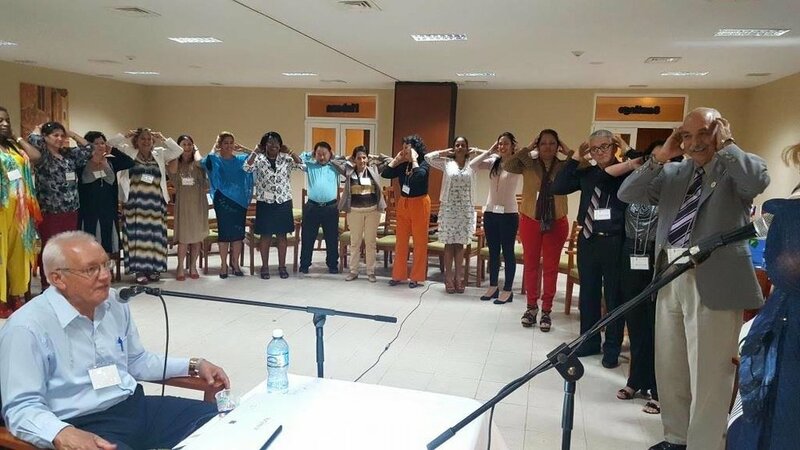 A mental health workshop being conducted by Dr. Latchman Narain of Canada. 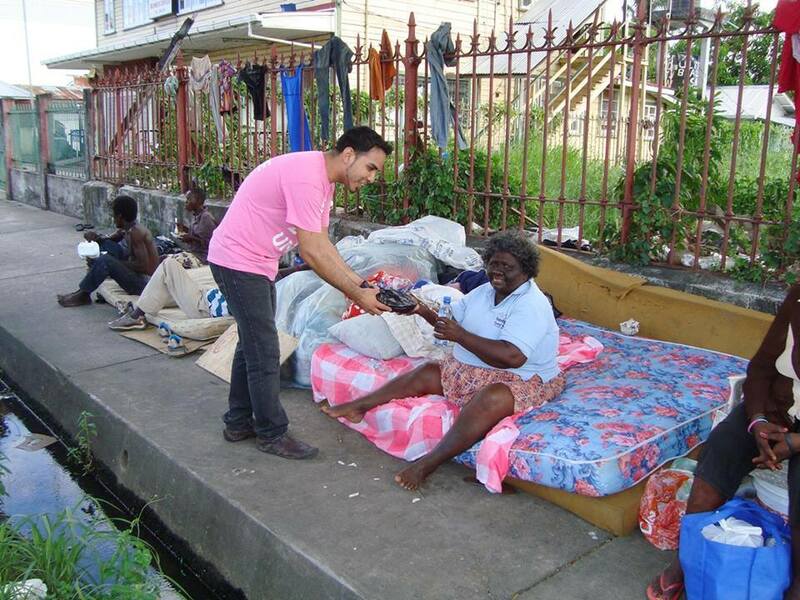 A Guyana Foundation volunteer handing over a hot meal to an individual living on the streets of Georgetown. Guyana Foundation volunteers on an outreach to homeless individuals in Georgetown. Tie Dye class at the Sunrise Center. Press Conference/Luncheon: Sunrise Center Manager, Miriam Hinds speaking with NCN Reporter, Ms. Mia Ritchie. Volunteers of the Guyana Foundation after a planning meeting. Cece Penniston and other celebrity guests supporting a book drive for the Guyana Foundation. 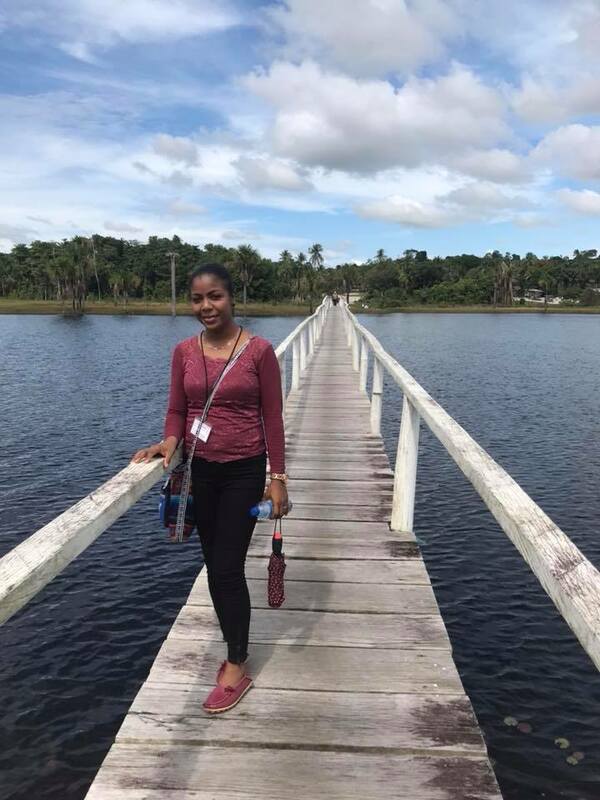 Since our formation, dozens of individuals across the world, and locally in Guyana, have stepped forward to share ideas, develop projects, and fund-raising to assist the people we serve. 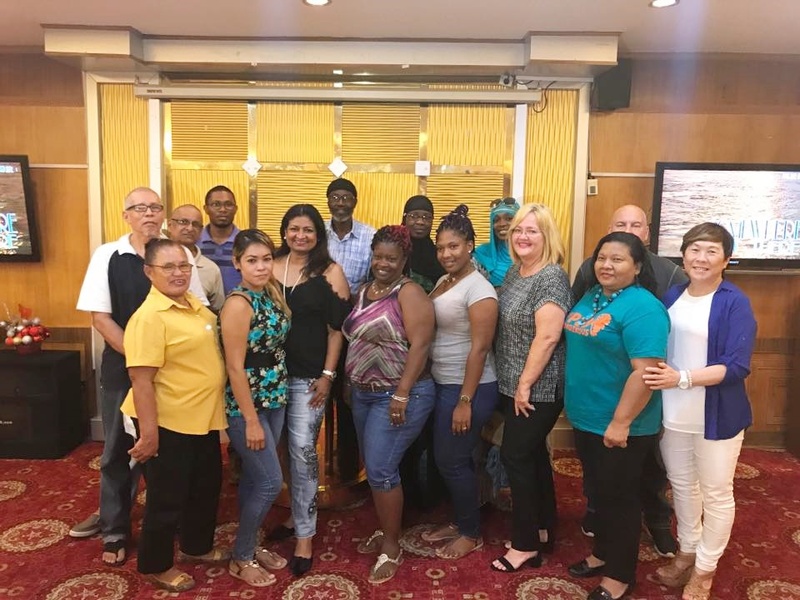 Please consider joining this group of dedicated individuals to make a difference in the lives of our underprivileged Guyanese brothers and sisters. These community-based centers will offer a variety of skills-training courses, holistic wellness programs, and counseling. 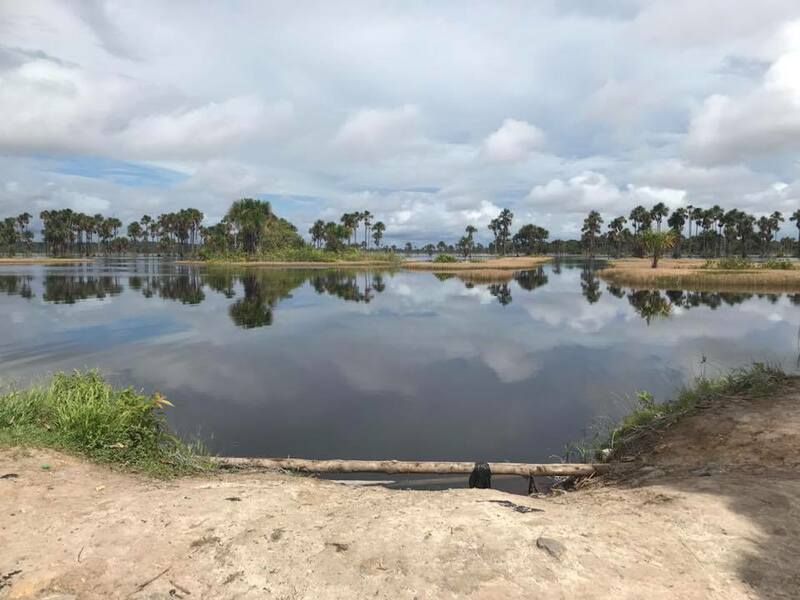 The first Center was launched in June 2016 in Zorg-En-Vlygt, Essequibo Coast. 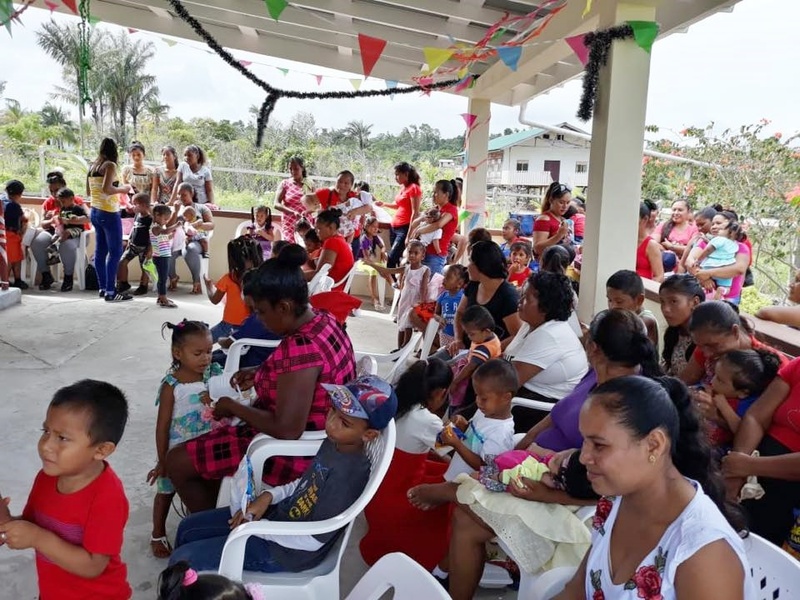 Every dollar you donate will provide immediate relief and vital services to underprivileged individuals, families and communities across the country. You can donate by sending us an email for further information at guyanafoundation@gmail.com.